The 2022 World Cup in Qatar should be played between 5 May and 4 June rather than in the winter, according to Europe's biggest clubs and leagues. 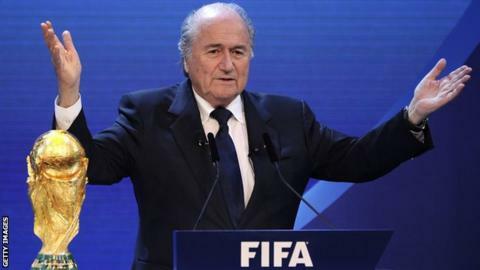 Qatar was awarded the event in 2010, with leading Fifa figures subsequently backing a proposed winter tournament. But a proposal by the European Club Association (ECA) and European Professional Football Leagues (EPFL) says it could be played safely at the start of the summer. A decision is expected by March 2015. World governing body Fifa announced last month that the most likely dates for the tournament would be either January/February or November/December 2022, with the organisation's medical chief warning that temperatures in the Middle East state between May and September posed a "highly critical risk". What is the European Club Association? But the ECA and EPFL - an association of 21 European leagues - believe their new proposal demonstrates how the tournament could be played in May and June without putting the health of players, supporters and officials at risk, with cooling systems deployed in stadiums. They argue that their proposal would have the least impact on the 2021-22 or 2022-23 club fixture calendars, which would need to be seriously revised if either of the options favoured by Fifa is ratified. It is also claimed that a May/June World Cup would have no impact on confederation tournaments or the Fifa Club World Cup, and limited impact on Uefa club competitions while not clashing with the Winter Olympics, or the Muslim holy month of Ramadan which finishes on 2 May.